Wondering why Episode 3 took 45hrs to appear on our blog? Read on to know why! 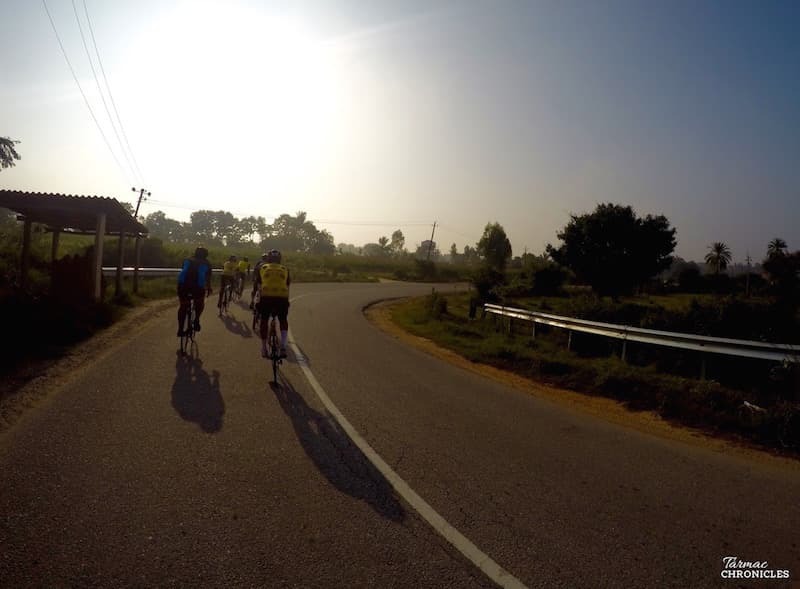 The 5:45AM Saturday morning – pleasant weather, no traffic – seemed to promise a great ride chronicle! The chroniclers rocked up at the Specialized Concept Store on time to kick-off the awesome ride. Wait a minute! Someone just broke a spoke, even before the ride started. Doh! 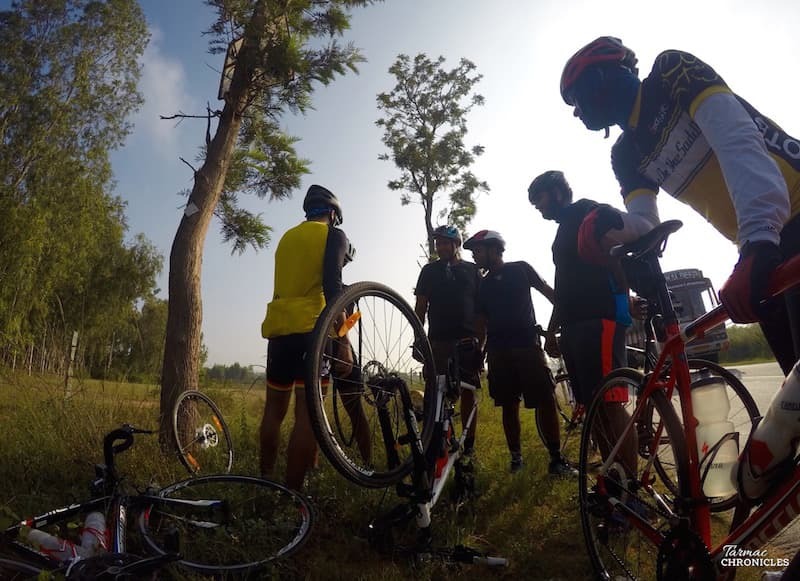 Luckily Suraj who was leading the ride decided to jump in to fix the broken spoke. 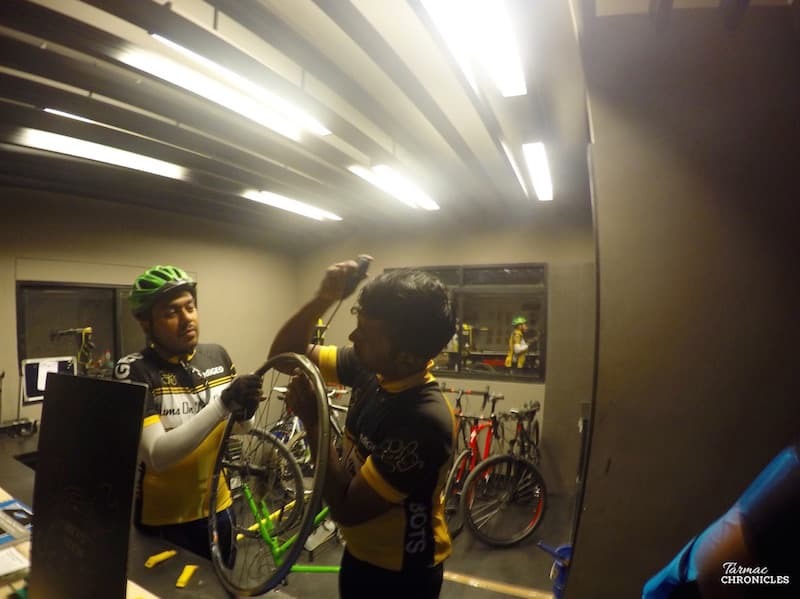 After a 10 minute effort to get Lokesh back on the road we figured the wheel was no longer true and Lokesh had to DNF the ride. 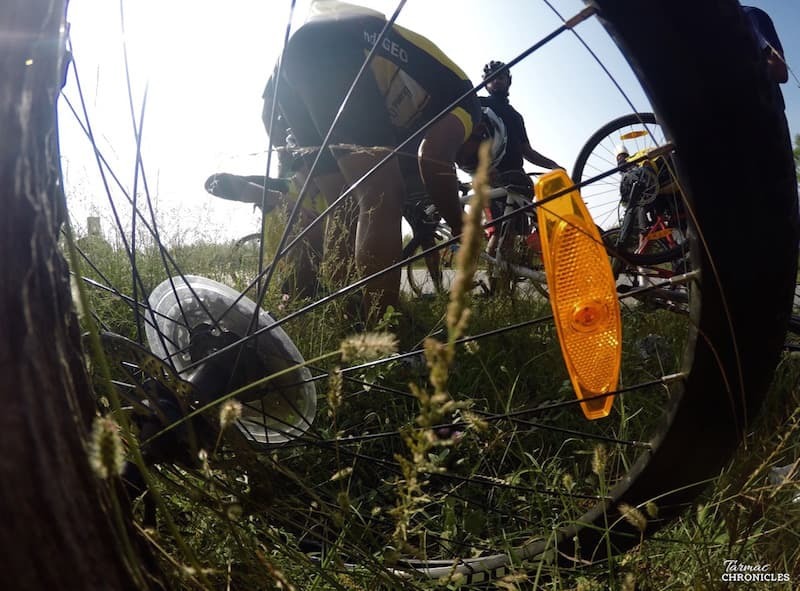 Moral of this story: Do not un-cleat inwards into the wheel. You could end up damaging more that just a spoke. 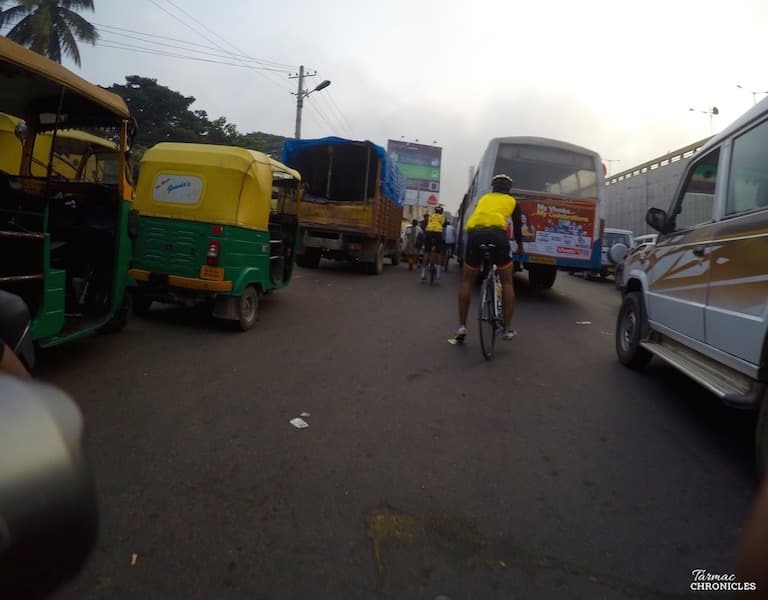 We took-off and rode towards Old Madras Road (OMR), The first of many hick-up’s to come was a traffic jam at K. R. Puram flyover — a traffic jam at 06:30am!! Still can’t believe it. We continued onto Whitefield, until we hit the 1st pothole. The the second, the third pot… “Noooo! That’s a crater”. Like wise we endured many land mine explosions until we reached a left turn to Chikka Thirupathi. Side-note: There were so many trucks with “AWAZ DEDO” symbols on them that at one point we were confused about the number of riders in our group. 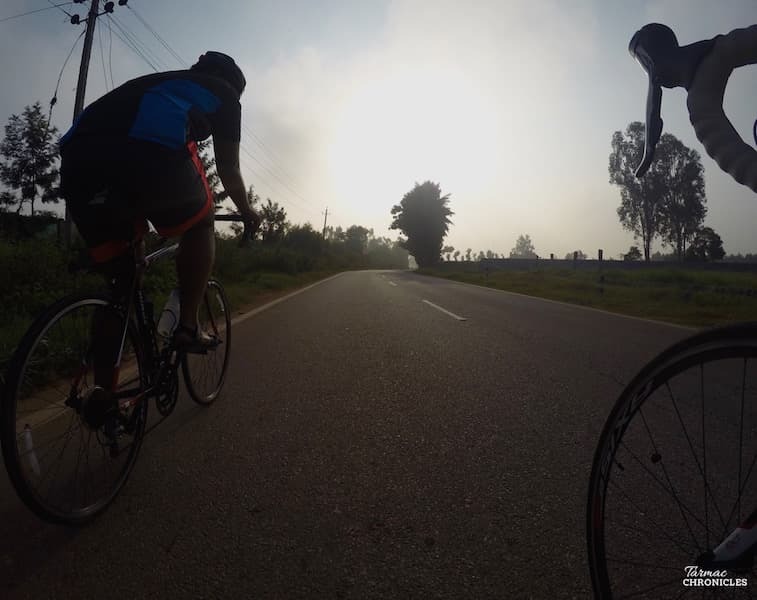 The next 18kms was a beauty — made from road bikers dreams! Just a kilometre after reaching the destination we spotted 2 cyclist pushing their bikes towards Chikka Tirupathi. Guess what? One of them had a flat tire and he had no clue about how to fix it. Our hero’s, Suraj & Arjun, stopped by to help them. They were also generous enough to shared their list of ride essentials. Kilometers 50-65 were a Paris Roubaix setting and our riders lived upto the true spirit of hammering it on those cobbles. The final kilometres leading towards Old Airport Road was all about getting stuck in another traffic jam at the Marathahalli flyover. Took us over 15 mins to clear. 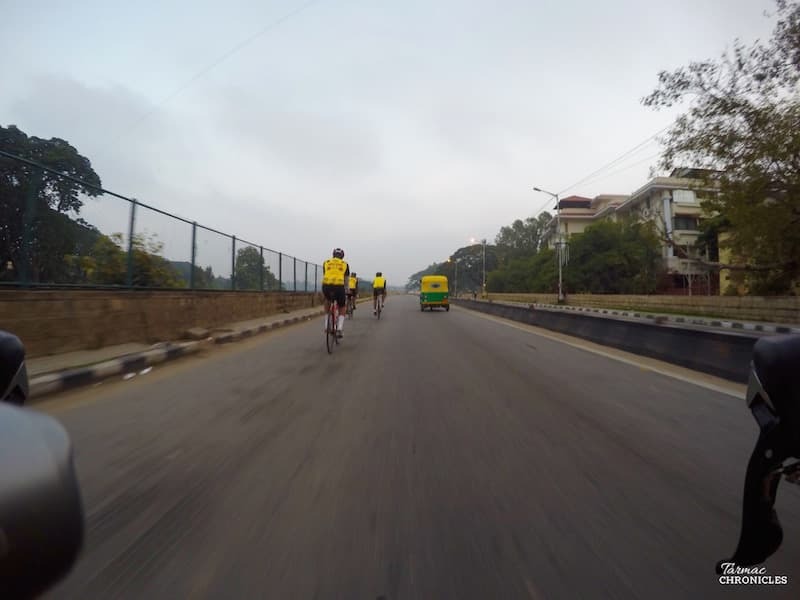 Recommendation: Donot ride on the Marathahalli stretch. Definitely a good chronicle of a not-do ride! Well, we found it funny. Do keep a look out for our rides on Strava. Know the next route that you think we should Chronicle? Shout em out! !